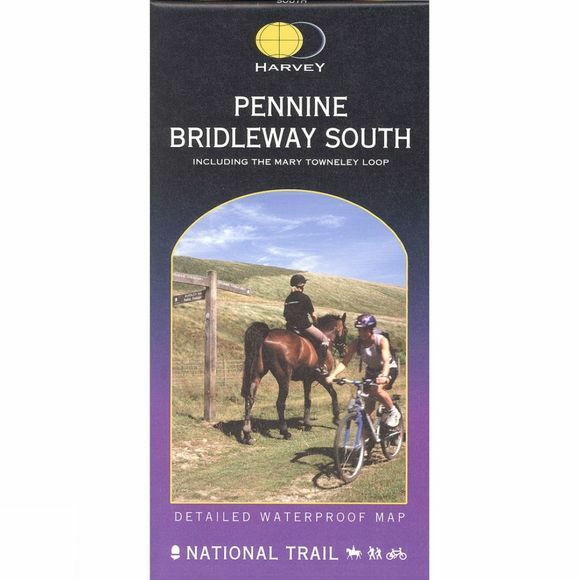 The Pennine Bridleway South Map 1:40K from Harvey Maps. Tough, light, durable and 100% waterproof. Genuine original HARVEY mapping. Includes Rights of Way. Route clearly marked. Including The Mary Towneley Loop.